Michael J Barrett, D.C., is a chiropractor located in Richmond, IN. Take the next step and contact Dr. Michael J Barrett, D.C., for a consultation in Richmond, IN or to get more information. Alfred E Wilkinson, D.C., is a chiropractor located in Richmond, VA. Take the next step and contact Dr. Alfred E Wilkinson, D.C., for a consultation in Richmond, VA or to get more information. William Rodman, D.C., is a chiropractor located in Richmond, VA. Take the next step and contact Dr. William Rodman, D.C., for a consultation in Richmond, VA or to get more information. Yupin Thongvichit, D.C., is a chiropractor located in Richmond, CA. Take the next step and contact Dr. Yupin Thongvichit, D.C., for a consultation in Richmond, CA or to get more information. Thomas Barcom, D.C., is a chiropractor located in Richmond, IN. Techniques: • Activator Methods • Diversified Take the next step and contact Dr. Thomas Barcom, D.C., for a consultation in Richmond, IN or to get more information. William U Roodman, D.C., is a chiropractor located in Richmond, VA. Take the next step and contact Dr. William U Roodman, D.C., for a consultation in Richmond, VA or to get more information. Nicholas Rulli, D.C., is a chiropractor located in Richmond, VA. Techniques: • Diversified • Trigger Point Therapy • Active Release Technique • Sports Injuries • Spinal Decompression Therapy Take the next step and contact Dr. Nicholas Rulli, D.C., for a consultation in Richmond, VA or to get more information. Patrick Szucs, D.C., is a chiropractor located in Richmond, CA. Techniques: • Gonstead • Diversified Take the next step and contact Dr. Patrick Szucs, D.C., for a consultation in Richmond, CA or to get more information. John D McClellan, D.C., is a chiropractor located in Richmond, KY. Techniques: • Diversified • Gonstead • Sacro Occipital Technique • Activator Methods Take the next step and contact Dr. John D McClellan, D.C., for a consultation in Richmond, KY or to get more information. Donald E Miller, D.C., is a chiropractor located in Richmond, KY. Techniques: • Cox • Upper Cervical Take the next step and contact Dr. Donald E Miller, D.C., for a consultation in Richmond, KY or to get more information. Charles Roberts, D.C., is a chiropractor located in Richmond, IN. Techniques: • Sacro Occipital Technique • Activator Methods • Diversified Take the next step and contact Dr. Charles Roberts, D.C., for a consultation in Richmond, IN or to get more information. Jonathon K Tinkle, D.C., is a chiropractor located in Richmond, IN. Techniques: • Thompson • Flexion-Distraction • Diversified • Activator Methods • Active Release Technique • Trigger Point Therapy Take the next step and contact Dr. Jonathon K Tinkle, D.C., for a consultation in Richmond, IN or to get more information. David A Berv, D.C., is a chiropractor located in Richmond, VA. Take the next step and contact Dr. David A Berv, D.C., for a consultation in Richmond, VA or to get more information. Paul A Terzano, D.C., is a chiropractor located in Richmond Hill, NY. Techniques: • Diversified • Cox • Applied Kinesiology Take the next step and contact Dr. Paul A Terzano, D.C., for a consultation in Richmond Hill, NY or to get more information. John Lofgren, D.C., is a chiropractor located in Richmond, VA. Techniques: • Gonstead • Diversified • Cox • Thompson Take the next step and contact Dr. John Lofgren, D.C., for a consultation in Richmond, VA or to get more information. Elkin Combs, D.C., is a chiropractor located in Richmond, KY. Take the next step and contact Dr. Elkin Combs, D.C., for a consultation in Richmond, KY or to get more information. Kyle P Moran, D.C., is a chiropractor located in Richmond, VA. Techniques: • Diversified • Active Release Technique • Activator Methods Take the next step and contact Dr. Kyle P Moran, D.C., for a consultation in Richmond, VA or to get more information. Dan McCaslin, D.C., is a chiropractor located in Richmond, KY. Take the next step and contact Dr. Dan McCaslin, D.C., for a consultation in Richmond, KY or to get more information. W Tim Kelly, D.C., is a chiropractor located in Richmond Hill, GA. Take the next step and contact Dr. W Tim Kelly, D.C., for a consultation in Richmond Hill, GA or to get more information. James Lavelle, D.C., is a chiropractor located in Richmond, ME. Take the next step and contact Dr. James Lavelle, D.C., for a consultation in Richmond, ME or to get more information. William Mull, D.C., is a chiropractor located in Richmond, IN. Take the next step and contact Dr. William Mull, D.C., for a consultation in Richmond, IN or to get more information. Eric J Baldwin, D.C., is a chiropractor located in Richmond, KY. Techniques: • Diversified • Cox • Flexion-Distraction • Gonstead • Thompson • Cervical Drop Headpiece Take the next step and contact Dr. Eric J Baldwin, D.C., for a consultation in Richmond, KY or to get more information. Robert R Boardman, D.C., is a chiropractor located in Richmond, KY. Take the next step and contact Dr. Robert R Boardman, D.C., for a consultation in Richmond, KY or to get more information. Robert E Jordan, D.C., is a chiropractor located in Richmond, MO. Techniques: • Gonstead Take the next step and contact Dr. Robert E Jordan, D.C., for a consultation in Richmond, MO or to get more information. 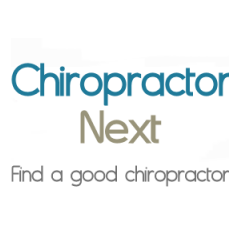 Lynn M Hausrath, D.C., is a chiropractor located in Richmond, CA. Techniques: • Gonstead • Diversified Take the next step and contact Dr. Lynn M Hausrath, D.C., for a consultation in Richmond, CA or to get more information. George W Chirkinian, D.C., is a chiropractor located in Richmond, VA. Techniques: • Diversified • Logan Basic Take the next step and contact Dr. George W Chirkinian, D.C., for a consultation in Richmond, VA or to get more information. Dan Mc Caslin, D.C., is a chiropractor located in Richmond, KY. Take the next step and contact Dr. Dan Mc Caslin, D.C., for a consultation in Richmond, KY or to get more information. Steven W Heinz, D.C., is a chiropractor located in Richmond, MI. Techniques: • Diversified • Flexion-Distraction • Thompson Take the next step and contact Dr. Steven W Heinz, D.C., for a consultation in Richmond, MI or to get more information. Ronald H Herrsche, D.C., is a chiropractor located in Richmond, VA. Techniques: • Applied Spinal Biomechanics Engineering • Activator Methods • Diversified • Upper Cervical Take the next step and contact Dr. Ronald H Herrsche, D.C., for a consultation in Richmond, VA or to get more information. James Chau, D.C., is a chiropractor located in Richmond, CA. Take the next step and contact Dr. James Chau, D.C., for a consultation in Richmond, CA or to get more information. Mark R Dulberg, D.C., is a chiropractor located in Richmond, CA. Techniques: • Gonstead • Diversified • Nimmo • Spinal Biomechanics Take the next step and contact Dr. Mark R Dulberg, D.C., for a consultation in Richmond, CA or to get more information. Margo L. Vrtis, D.C., is a chiropractor located in Richmond, TX. Techniques: • Diversified • Activator Methods • Flexion-Distraction • Leander • Thompson • Trigger Point Therapy • Graston Technique Take the next step and contact Dr. Margo L. Vrtis, D.C., for a consultation in Richmond, TX or to get more information. Andrew J Melchert, D.C., is a chiropractor located in Richmond, VA. Take the next step and contact Dr. Andrew J Melchert, D.C., for a consultation in Richmond, VA or to get more information. Paul S Maia, D.C., is a chiropractor located in Richmond Hill, GA. Techniques: • Diversified • Thompson • Cox • Flexion-Distraction • Manual Adjusting Take the next step and contact Dr. Paul S Maia, D.C., for a consultation in Richmond Hill, GA or to get more information. M Barbara Hodal, D.C., is a chiropractor located in Richmond, IL. Techniques: • Sacro Occipital Technique • Nimmo • Diversified • Thompson • Activator Methods Take the next step and contact Dr. M Barbara Hodal, D.C., for a consultation in Richmond, IL or to get more information. Richard M Morton, D.C., is a chiropractor located in Richmond, CA. Techniques: • Diversified • Gonstead • Pettibon Take the next step and contact Dr. Richard M Morton, D.C., for a consultation in Richmond, CA or to get more information. Michael Johnson, D.C., is a chiropractor located in Richmond, IN. Take the next step and contact Dr. Michael Johnson, D.C., for a consultation in Richmond, IN or to get more information. Timothy Saia, D.C., is a chiropractor located in Richmond Hill, GA. Take the next step and contact Dr. Timothy Saia, D.C., for a consultation in Richmond Hill, GA or to get more information. Trace T Palmer, D.C., is a chiropractor located in Richmond Hill, GA. Techniques: • Palmer Package • Thompson • Gonstead • Toggle Recoil • Diversified • Activator Methods Take the next step and contact Dr. Trace T Palmer, D.C., for a consultation in Richmond Hill, GA or to get more information. Steven Nissenbaum, D.C., is a chiropractor located in Richmond Hill, NY. Techniques: • Diversified • Flexion-Distraction • Sacro Occipital Technique • Cox • Trigger Point Therapy Take the next step and contact Dr. Steven Nissenbaum, D.C., for a consultation in Richmond Hill, NY or to get more information. Bradley W Richey, D.C., is a chiropractor located in Richmond, MO. Techniques: • Activator Methods • Cervical Drop Headpiece • Cox • Diversified • Gonstead • Thompson Take the next step and contact Dr. Bradley W Richey, D.C., for a consultation in Richmond, MO or to get more information. John D Robinson, D.C., is a chiropractor located in Richmond, IN. Techniques: • Cox • Activator Methods Take the next step and contact Dr. John D Robinson, D.C., for a consultation in Richmond, IN or to get more information. Eugene V Hoffmann, D.C., is a chiropractor located in Richmond, IL. Take the next step and contact Dr. Eugene V Hoffmann, D.C., for a consultation in Richmond, IL or to get more information. Joseph Capri, D.C., is a chiropractor located in Richmond, VA. Techniques: • Activator Methods • Chiropractic Biophysics • Diversified • Manual Adjusting • Pettibon • Trigger Point Therapy Take the next step and contact Dr. Joseph Capri, D.C., for a consultation in Richmond, VA or to get more information. John W Hall Jr, D.C.
John W Hall Jr, D.C., is a chiropractor located in Richmond, VA. Techniques: • Palmer Package • Pettibon Take the next step and contact Dr. John W Hall Jr, D.C., for a consultation in Richmond, VA or to get more information.